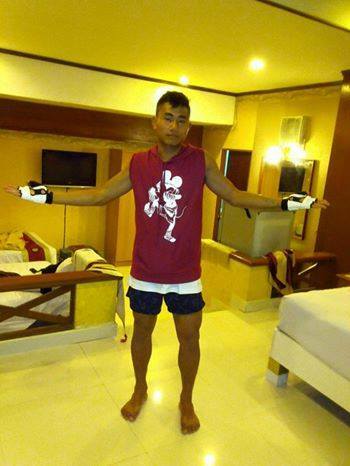 A Manipur lad, Thaovei V Soto, from Senapati District Manipur, bagged gold medal in the 1st World Martial Arts Council Games Festival held at Bangkok, Thailand. Manipur lad Thaovei V Soto, from Senapati District, bagged gold medal in the 1st World Martial Arts Council Games Festival held at Bangkok, Thailand. The young lad struck gold in his first outing in the 65-70Kgs category after knocking out his Uzbekistan opponent in the final. He defeated opponents from Iran, Kazakhstan and Brazil in the earlier bouts to reach the final. The young martial arts star had a hard time going to the games despite repeated success at national and zonal level for the last one year under his coach Khekho Moses, a former martial art medalist. State government’s apathy forced the young lad to meet his own expenses, and with some help from well-wishers and Senapati District Olympic Association Manipur (SDOAM). The golden boy will be given a grand reception on his return, according to SDOAM. He will be received at Imphal International Airport on 21st March and victory march will be held till Senapati District Headquarters Indoor Stadium, where a grand reception will be held in the presence of Deputy Commissioner, SP, civil bodies, tribe Hohos, students, fans and well wishers. Programme for the reception event includes words from the gold medallist and dignitaries.